pulse of the film industry. Real-time data visualization with historical trends as well as predictive analysis to help our clients stay on top of the industry. Clients include all major Hollywood studios as well as major production houses. 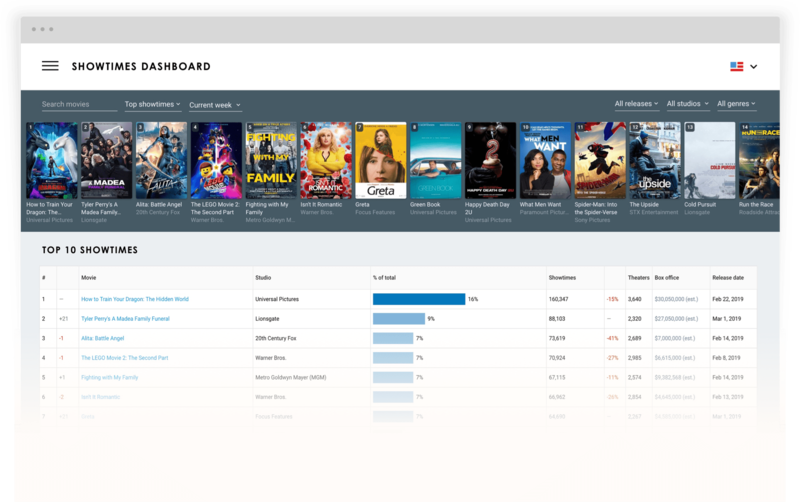 A real time view on showtime distribution, demographic, and market specific conditions that optimizes your showtime scheduling. 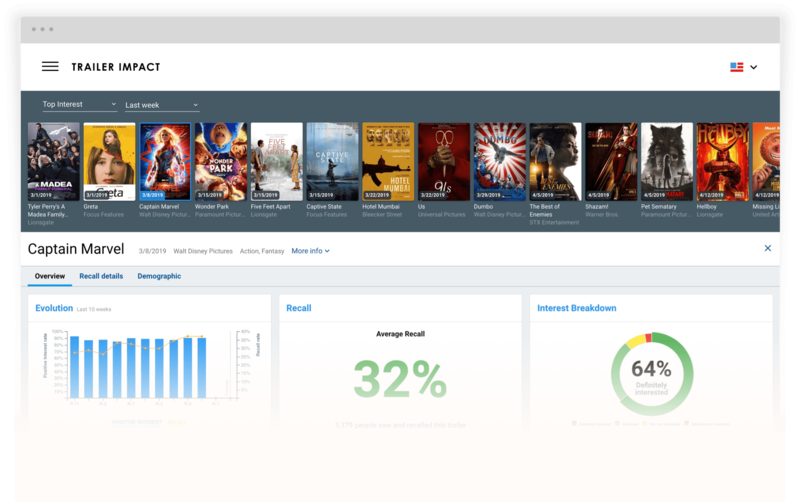 A weekly report that tracks trailer recall and interest on TV, web, mobile, and in-theaters trailer previews. Every week, we interview 7,500 moviegoers who watched a movie in theaters in the last 7 days in the US, UK and France. An intuitive calendar to plan the release of your movies in correlation to every past, present and future release up until 2025. 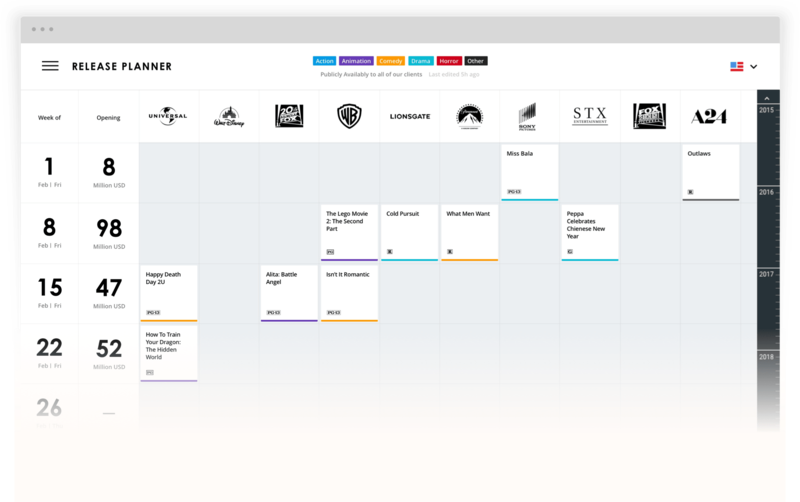 Filter by genre, studio, and rating to strategically select your opening weekend and maximize your box office.